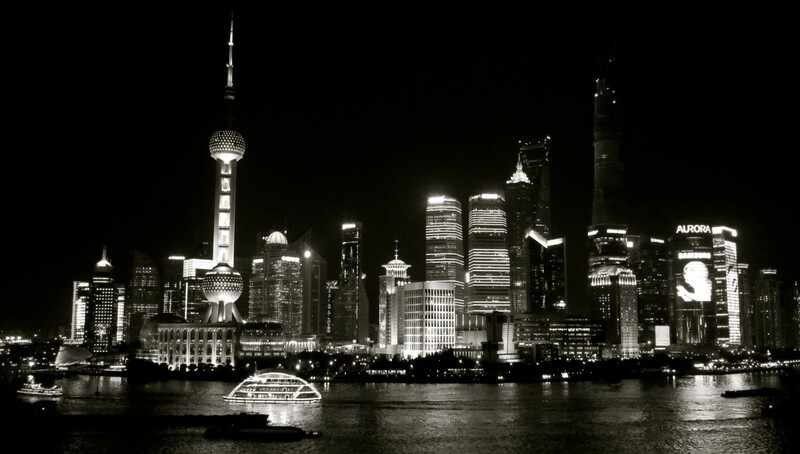 This past weekend was my last weekend in Shanghai for 2013. I figured there was no better way to live it up than meeting with a good friend over a beautiful meal. My friend and I celebrated the end of 2013 at Goga (1 Yueyang Rd. ; 岳阳路1号). We had eaten there before a year a half ago and absolutely adored it. I’m happy to report that Goga is just as good as I remembered. Goga stands for Golden Gate, as in The Golden Gate Bridge in San Francisco. I instantly feel such intense California pride the moment I walk through the door. Chef Brad Turley is from the town next to my hometown and he used to work at Roy’s Hawaiian Fusion. He brings that same Western-Asian fusion to Shanghai, serving up dishes like lobster rolls with buttered corn on the cob, wasabi salmon salad and miso cod. I absolutely adore the way he cooks fish and it reminds me of one of my favorite restaurants in SF, Chaya Brasserie. It is rare to find a good lobster rolls in the U.S., yet alone China. Chef Turley spices it up by adding Sriarcha to the mayo-lobster mix and serving it in a perfectly buttered, toasted hot dog bun. While the seared scallops were cooked well, I wasn’t a fan of the spicy peanut butter sauce. I thought the sauce was overpowering and clashed with the delicate scallop morsels. The wasabi salmon salad isn’t always on the menu, but I highly recommend it if it’s a daily special! A perfectly-seared piece of salmon is served on top of a bed of salad (red cabbage, bean sprouts, etc.) with fried wonton strips and a wasabi-teriyaki dressing. The pièce de résistance is definitely the truffle oil that subtly enters your olfactory system and invokes that umami sensation in your mouth. The miso cod is also otherwordly. Seasoned perfectly with miso and mirin wine, the fillet breaks apart at the slightest touch of fork and literally melts in your mouth. It is paired with edamame jus and a shiitake mushroom and shrimp salsa. The best part is that many of the dishes can be ordered “half-sized,” which gives you the perfect opportunity to try a variety of them (leaving more room for lobster rolls). Whenever I see a lemon dessert on the menu, I rarely turn it down. Whenever I see lemon curd in a dessert, I will never turn it down. Goga’s lemon curd dessert is just the way lemon curd is meant to be– tangy and sweet at the same time with the consistency of clotted cream. Sprinkle in some graham cracker topping and blueberries and you have the makings of a perfect dessert. Goga is tiny with only four/five tables and counter seating for four people. I think the entire restaurant can only seat like 16 people max. Reservations are an absolute must and they do two seatings a night, one at 6:30 pm and another at 8:30 pm. In the summertime, the rooftop is open for additional seating, but I think reservations will still be necessary in the summer. Goga is definitely on my list of favorite restaurants in Shanghai and I will definitely be going the next time I feel homesick. This entry was posted in China, Food, Review, Shanghai, Travel and tagged Brad Turley, China, Food, Goga, review, Shanghai, Travel. Bookmark the permalink. I love how small the world is – it’s so cool that the chef is from CA!